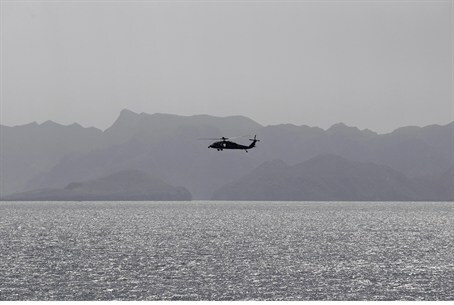 Iran would not close the Strait of Hormuz as long as it is able to use the vital shipping line itself, a military commander said Monday. "The enemies constantly state that the Islamic Republic of Iran intends to close the Strait of Hormuz, but we say that common sense does not dictate that Iran would close the Strait of Hormuz as long as it makes use of it," said Alireza Tangsiri, deputy naval commander in Iran's Revolutionary Guards, state news agency IRNA reported. Iranian politicians and officials have often said Iran could block the strait, through which 40 percent of the world's seaborne oil exports passes, in response to sanctions or military action. Foreign Minister Ali Akbar Salehi told Reuters earlier this month that Iran was unlikely to follow through on the threat unless its own vessels were denied use of the strait. Iran's parliament is debating a bill recommending the strait be closed in retaliation to a European Union embargo on Iranian oil, which went into full effect this month. The sanctions are aimed at forcing Tehran to curb its nuclear program, which Israel and the West maintain are aimed at developing weapons capabilities, a claim which Iran has repeatedly denied.